Acknowledged for its robustness and reliability on worksites all over the world, the Renault Kerax has also stood out for its performance in expeditions such as the Dakar Rally and the Cape to Cape. Since adventure is part of Renault Trucks’ DNA, the Adventure kit combines these two aspects in a vehicle with a very original style. The Renault Kerax Adventure is distinguished by a new look and its unique livery. With a grey radiator grille, hefty bull bar and rally type sunshield, the Renault Kerax Adventure is an imposing vehicle. The impression of sturdiness, which makes the Renault Kerax so distinctive has been enhanced even further. 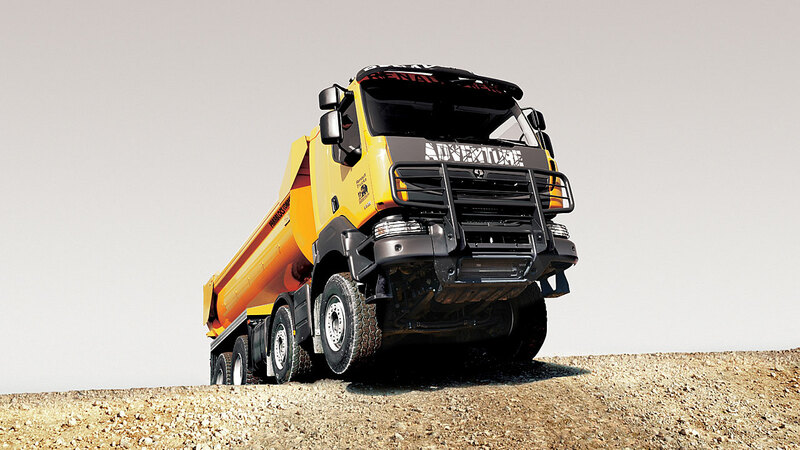 To give the vehicle a stamp of exclusivity, both doors display the official Renault Trucks Adventure logo. On the roof of the cab, the Renault Kerax Adventure sports chrome plated fog horns instead of regular horns. Outside Europe and in environments with high levels of dust or sand, the Renault Kerax is fitted with a special air filter. Available on Euro 3 vehicles, it is possible to prolong engine life and reduce the frequency of air filter replacements. After 30 years' involvement in the Dakar Rally, plus participating in the 2009 Cape to Cape between the North Cape in Norway to the Cape of Good Hope in South Africa, Renault Trucks is committed to adventure and pushing the boundaries of travel in extreme conditions. 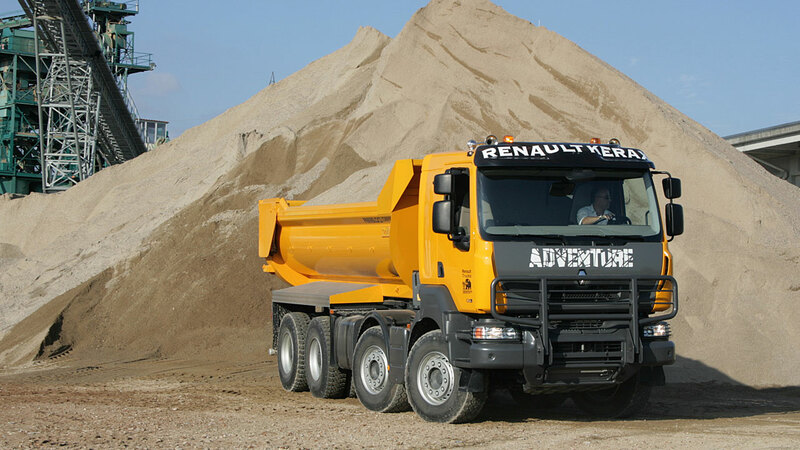 Like the rest of the construction range, the Renault Kerax Adventure incorporates Renault Trucks' Optifuel Solutions designed to reduce fuel consumption. The Optidriver+ automated gearbox has an off road mode specially suited for negotiating challenging terrain and helping to reduce fuel costs in the process, while Optifuel Infomax allows operators to analyse and monitor consumption and driving styles. The Renault Kerax Adventure kit is available for all Renault Kerax vehicles across the different configurations and engine ratings.